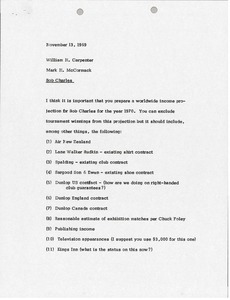 McCormack writes regarding Moore's Bendix layout. 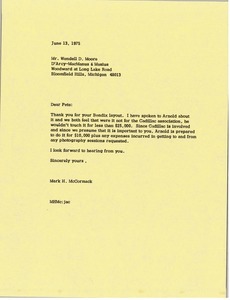 Cadillac's involvement changes Arnold Palmer's fee request. 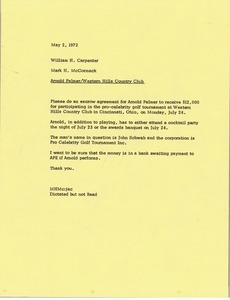 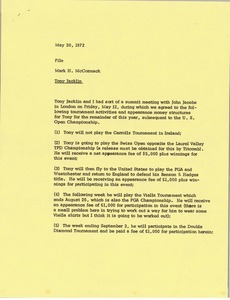 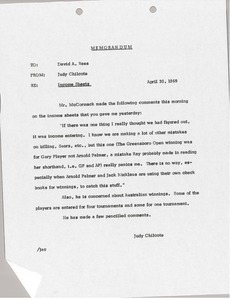 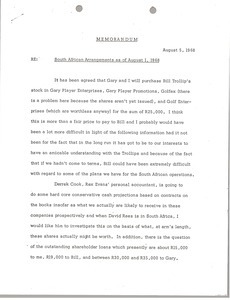 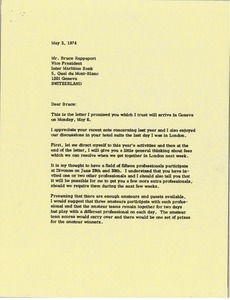 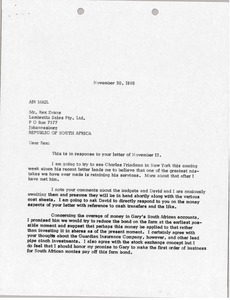 McCormack asks for an escrow agreement for Arnold palmer to receive money for participating in the pro-celebrity golf tournament at Western Hills Country Club in Cincinnati, Ohio. 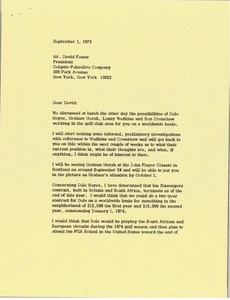 Palmer also has to attend a party or banquet as part of this agreement. 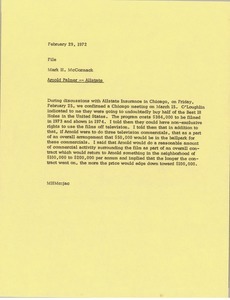 McCormack notes that Allstate will buy half of the best 18 Holes in the United States, Arnold Palmer could do three television commercials and other commercial activity surrounding the film.